Looking for a unique addition to your gift ideas this year? Our deliciously different beef jerky is hand-crafted fresh every week, ensuring a sweet-savory and tender bite each and every time. Our beautifully hand-stamped bags are a great way to thank your clients, employees, and colleagues while leaving a memorable impression. They make unique party favor gifts at birthday parties or weddings. Stand out by giving the gift of delicious food. 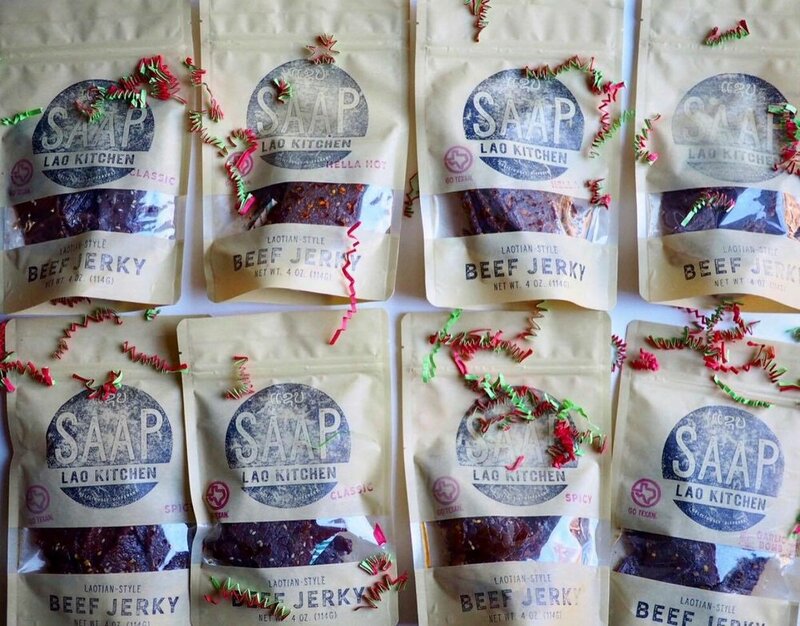 Our premium beef jerky also makes wonderful gifts of appreciation for customers, teachers, friends, and family. Give them a gift they won't forget! Stress-free shopping and gifts to impress! What is more exciting than receiving food, specifically amazing jerky....and it's personalized? With our Exclusive Bulk Offer, we can customize your premium beef jerky bags to include a personal message for your recipients. This is a wonderful way to thank your employees or clients for all that they do. It is also a great opportunity to tell your friends or family how important they are. Take full advantage of our exclusive bulk order discount NOW and save! One of our gift specialist team members will reach out to you shortly, Thank you!